Located in Presque Isle, 700-acre Aroostook State Park is Maine’s oldest. The park offers visitors a range of recreational activities including hunting, fishing, swimming, hiking, wildlife watching, snowmobiling, and cross-country skiing. This 28-mile multiple use trail is open year round and connects the towns of Presque Isle, Caribou, Washburn, Woodland, and New Sweden. The Bangor & Aroostook Trail is a 61-mile trail that is divided into two sections that link the towns of Mapleton, Washburn, Stockholm, Caribou, and Van Buren. This gravel surface trail is open year round for multiple uses. Scenery varies from open fields to deep woods, and meanders along many streams. 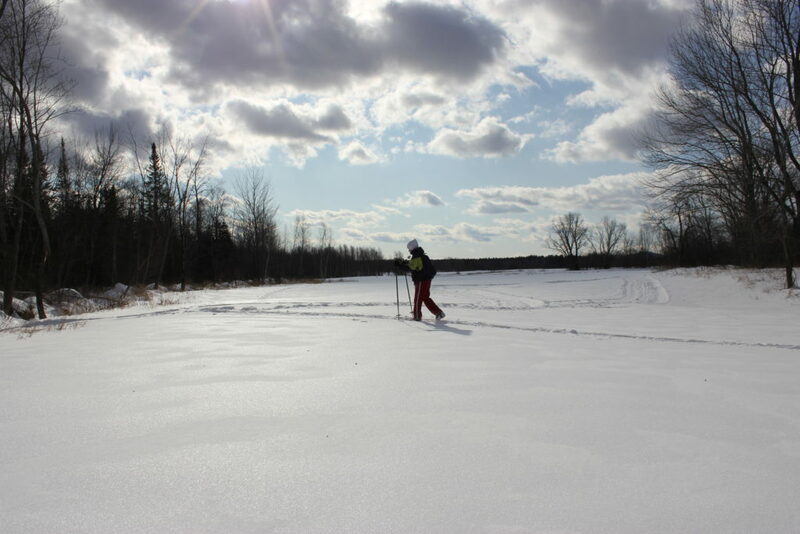 The Four Seasons Trail Association promotes year-round outdoor recreation through cross-country skiing, mountain biking, snowshoeing and nature hikes on their scenic property in Madawaska. In the winter, visitors can rent cross-country skis and snowshoes before touring more than 5 miles of trails. Located in Perham, Salmon Brook Lake Bog is the centerpiece of an 1,857-acre public reserve that captures many ecological features characteristic of Maine’s northeastern limestone belt. Visitors will also find a multiple use trail available for ATV riders and others.